This is “Social Movements”, section 14.4 from the book Sociology: Brief Edition (v. 1.1). For details on it (including licensing), click here. List the major types of social movements. Explain the micro and macro factors that lead to the rise of social movements. Describe the stages of the life cycle of social movements. Social movements in the United States and other nations have been great forces for social change. At the same time, governments and other opponents have often tried to thwart the movements’ efforts. To understand how and why social change happens, we have to understand why movements begin, how they succeed and fail, and what impact they may have. To begin this understanding, we first need to understand what social movements are. A social movementAn organized effort by a large number of people to bring about or impede social change. may be defined as an organized effort by a large number of people to bring about or impede social change. Defined in this way, social movements might sound similar to special-interest groups, and they do have some things in common. But a major difference between social movements and special-interest groups lies in the nature of their actions. Special-interest groups normally work within the system via conventional political activities such as lobbying and election campaigning. In contrast, social movements often work outside the system by engaging in various kinds of protest, including demonstrations, picket lines, sit-ins, and sometimes outright violence. Social movements are organized efforts by large numbers of people to bring about or impede social change. Often they try to do so by engaging in various kinds of protest, such as the march depicted here. Conceived in this way, the efforts of social movements amount to “politics by other means,” with these “other means” made necessary because movements lack the resources and access to the political system that interest groups typically enjoy (D. A. Snow & Soule, 2009).Snow, D. A., & Soule, S. A. (2009). A primer on social movements. New York, NY: W. W. Norton. Sociologists identify several types of social movements according to the nature and extent of the change they seek. This typology helps us understand the differences among the many kinds of social movements that existed in the past and continue to exist today (D. A. Snow & Soule, 2009).Snow, D. A., & Soule, S. A. (2009). A primer on social movements. New York, NY: W. W. Norton. One of the most common and important types of social movements is the reform movement, which seeks limited, though still significant, changes in some aspect of a nation’s political, economic, or social systems. It does not try to overthrow the existing government but rather works to improve conditions within the existing regime. Some of the most important social movements in U.S. history have been reform movements. These include the abolitionist movement preceding the Civil War, the woman suffrage movement that followed the Civil War, the labor movement, the Southern civil rights movement, the Vietnam antiwar movement, the contemporary women’s movement, the gay rights movement, and the environmental movement. A revolutionary movement goes one large step further than a reform movement in seeking to overthrow the existing government and to bring about a new one and even a new way of life. Revolutionary movements were common in the past and were responsible for the world’s great revolutions in Russia, China, and several other nations. Reform and revolutionary movements are often referred to as political movements because the changes they seek are political in nature. Another type of political movement is the reactionary movement, so named because it tries to block social change or to reverse social changes that have already been achieved. The antiabortion movement is a contemporary example of a reactionary movement, as it arose after the U.S. Supreme Court legalized most abortions in Roe v. Wade (1973) and seeks to limit or eliminate the legality of abortion. One type of social movement is the self-help movement. As its name implies, the goal of a self-help movement is to help people improve their personal lives. 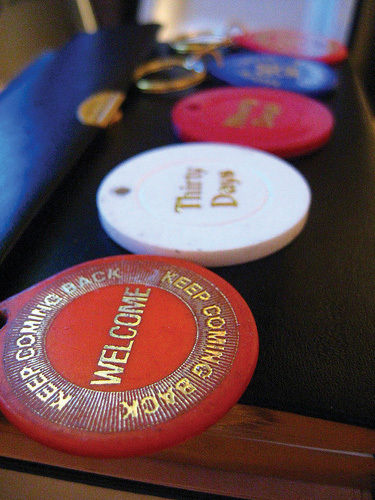 These tokens are used at meetings of Alcoholics Anonymous, which is an example of a group involved in a self-help movement. Source: Photo courtesy of Chris Yarzab, http://www.flickr.com/photos/chrisyarzab/4687962584. Two other types of movements are self-help movements and religious movements. As their name implies, self-help movements involve people trying to improve aspects of their personal lives; examples of self-help groups include Alcoholics Anonymous and Weight Watchers. Religious movements aim to reinforce religious beliefs among their members and to convert other people to these beliefs. Early Christianity was certainly a momentous religious movement, and other groups that are part of a more general religious movement today include the various religious cults discussed in Chapter 12 "Education and Religion". Sometimes self-help and religious movements are difficult to distinguish from each other because some self-help groups emphasize religious faith as a vehicle for achieving personal transformation. To understand how and why social movements begin, we need answers to two related questions. First, what are the social, economic, and political conditions that give rise to social movements? They do not arise in a vacuum, and certain macro problems in society must exist for movements to begin. Second, once social movements do begin, why are some individuals more likely than others to take part in them? Answers to this question usually focus on personality and other micro factors. We will start with these micro factors and then turn to the macro conditions that make movements possible in the first place. Over the years social scientists have tried to explain why some individuals are more likely than others to join social movements. Their explanations center on several factors. One issue is whether social movement involvement is rational or irrational. Early thinkers such as Gustave LeBon (1841–1931), a French intellectual, thought that social movement involvement and, more generally, crowd behavior were the product of irrational impulses. Writing in the wake of the French Revolution of 1789, these thinkers worried that social order was breaking down. LeBon in particular blamed crowds for turning normally rational individuals into irrational and emotional actors who are virtually hypnotized by the crowd’s mind-set. American sociologists early in the 20th century adopted LeBon’s view. In so doing, they viewed social movement participation as more expressive, or emotional, than instrumental, or directed at achieving specific goals (Rule, 1988).Rule, J. B. (1988). Theories of civil violence. Berkeley: University of California Press. Just after the mid-20th century, Ralph H. Turner and Lewis M. Killian (1957)Turner, R. H., & Killian, L. M. (1957). Collective behavior. Englewood Cliffs, NJ: Prentice Hall. presented their emergent norm view of collective behavior, which downplayed the irrationality emphasized in earlier formulations. According to Turner and Killian, when people start interacting in collective behavior, they are not sure initially how they are supposed to behave. As they discuss their potential behavior and other related matters, norms governing their behavior emerge, and social order and rationality then guide behavior. Adopting this view, most sociologists today feel that people taking part in social movements are indeed acting rationally and instrumentally, not just expressively. Although they have emotions, that does not mean their behavior is any less rational or political (D. A. Snow & Soule, 2009).Snow, D. A., & Soule, S. A. (2009). A primer on social movements. New York, NY: W. W. Norton. Another important line of thought has centered on relative deprivationThe feeling by individuals that they are deprived relative to some other group or to some ideal state they have not reached., or the feeling by individuals that they are deprived relative to some other group or to some ideal state they have not reached. This view was popularized by James C. Davies (1962)Davies, J. C. (1962). Toward a theory of revolution. American Sociological Review, 27, 5–19. and Ted Robert Gurr (1970),Gurr, T. R. (1970). Why men rebel. Princeton, NJ: Princeton University Press. both of whom built upon the earlier work of social psychologists who had studied frustration and aggression. When a deprived group perceives that social conditions are improving, wrote Davies, they become hopeful that their lives are getting better. But if these conditions stop improving, they become frustrated and more apt to turn to protest, collective violence, and other social movement activity. Both Davies and Gurr emphasized that people’s feelings of being relatively deprived were more important for their involvement in collective behavior than their level of actual deprivation. Relative deprivation theory was initially very popular, but scholars later pointed out that frustration often does not lead to protest, as people can instead blame themselves for the deprivation they feel and thus not protest (Gurney & Tierney, 1982).Gurney, J. N., & Tierney, K. J. (1982). Relative deprivation and social movements: A critical look at twenty years of theory and research. Sociological Quarterly, 23, 33–47. Scholars who favor the theory point out that people will ordinarily not take part in social movements unless they feel deprived, even if many who do feel deprived do not take part (Snow & Oliver, 1995).Snow, D. E., & Oliver, P. E. (1995). Social movements and collective behavior: Social psychological dimensions and considerations. In K. S. Cook, G. A. Fine, & J. S. House (Eds. ), Sociological perspectives on social psychology (pp. 571–599). Boston, MA: Allyn & Bacon. A final micro issue has been whether the individuals participating in social movements are isolated from society or very much a part of it. Are they loners, or are they involved in social networks of friends, coworkers, and others? In his influential book The Politics of Mass Society, William Kornhauser (1959)Kornhauser, W. (1959). The politics of mass society. New York, NY: Free Press. wrote that because modern societies are impersonal with weak social ties, individuals who are loners become involved in social movements to provide them the friendships and social bonding they otherwise lack. Kornhauser’s mass society theoryWilliam Kornhauser’s view that social isolation prompts involvement in collective behavior and social movements. was popular for a time, but much research finds that the people who join social movements are in fact very much a part of society instead of loners. They have many friends and belong to several organizations, and these friendship and organizational ties help “pull” them into social movements. Structural explanations of social movements try to understand why social movements are more likely to arise in some historical periods and locations than in others. In effect, they try to show how certain social, economic, and political conditions give rise to social movements. We discuss some of these explanations here. One of the most popular and influential structural explanations is Neil Smelser’s (1963)Smelser, N. J. (1963). Theory of collective behavior. New York, NY: Free Press. structural-strain theoryNeil Smelser’s view that social movements and other collective behavior occur and persist when six conditions are present: structural conduciveness, structural strain, generalized beliefs, precipitating factors, mobilization for action, and weak social control.. Smelser wrote that social movements and other collective behavior occur when several conditions are present. One of these conditions is structural strain, which refers to problems in society that cause people to be angry and frustrated. Without such structural strain, people would not have any reason to protest, and social movements do not arise. Another condition is generalized beliefs, which are people’s reasons for why conditions are so bad and their solutions to improve them. If people decide that the conditions they dislike are their own fault, they will decide not to protest. Similarly, if they decide that protest will not improve these conditions, they again will not protest. A third condition is the existence of precipitating factors, or sudden events that ignite collective behavior. In the 1960s, for example, several urban riots started when police were rumored to have unjustly arrested or beaten someone. Although conditions in inner cities were widely perceived as unfair and even oppressive, it took this type of police behavior to ignite people to riot. During the 1960s, several urban riots began when police were rumored to have unjustly arrested or beaten someone. Source: Photo courtesy of Anna Tesar, http://www.flickr.com/photos/spanner/3029425939. Smelser’s theory became very popular because it pointed to several factors that must hold true before social movements and other forms of collective behavior occur. At the same time, collective behavior does not always occur when his factors do hold true. The theory has also been criticized for being a bit vague; for example, it does not say how much strain a society must have for collective behavior to take place (Rule, 1988).Rule, J. B. (1988). Theories of civil violence. Berkeley: University of California Press. Resource mobilization theoryThe view that social movements are a rational response to perceived grievances and that they arise from efforts by social movement leaders to mobilize the resources, especially the time, money, and energy, of aggrieved peoples and to direct them into effective political action. is a general name given to several related views of social movements that arose in the 1970s (McCarthy & Zald, 1977; Oberschall, 1973; Tilly, 1978).McCarthy, J. D., & Zald, M. N. (1977). Resource mobilization and social movements: A partial theory. American Journal of Sociology, 82, 1212–1241; Oberschall, A. (1973). Social conflict and social movements. Englewood Cliffs, NJ: Prentice Hall; Tilly, C. (1978). From mobilization to revolution. Reading, MA: Addison-Wesley. This theory assumes that social movement activity is a rational response to unsatisfactory conditions in society. Because these conditions always exist, so does discontent with them. Despite such constant discontent, people protest only rarely. If this is so, these conditions and associated discontent cannot easily explain why people turn to social movements. What is crucial instead are efforts by social movement leaders to mobilize the resources—most notably, time, money, and energy—of the population and to direct them into effective political action. Also important are political opportunities for action that arise when, say, a government weakens because of an economic or foreign crisis (D. A. Snow & Soule, 2009).Snow, D. A., & Soule, S. A. (2009). A primer on social movements. New York, NY: W. W. Norton. Resource mobilization theory has been very influential since its inception in the 1970s. However, critics say it underestimates the importance of harsh social conditions and discontent for the rise of social movement activity. Conditions can and do worsen, and when they do so, they prompt people to engage in collective behavior. As just one example, cuts in higher education spending and steep increases in tuition prompted students to protest on campuses in California and several other states in late 2009 and early 2010 (Rosenhall, 2010).Rosenhall, L. (2010, February 28). Education protests on tap this week in California. The Sacramento Bee, p. 1A. Critics also say that resource mobilization theory neglects the importance of emotions in social movement activity by depicting social movement actors as cold, calculated, and unemotional (Goodwin, Jasper, & Polletta, 2004).Goodwin, J., Jasper, J. M., & Polletta, F. (2004). Emotional dimensions of social movements. In D. A. Snow, S. A. Soule, & H. Kriesi (Eds. ), The Blackwell companion to social movements (pp. 413–432). Malden, MA: Blackwell. This picture is simply not true, critics say, and they further argue that social movement actors can be both emotional and rational at the same time, just as people are in many other kinds of pursuits. Although the many past and present social movements around the world differ from each other in many ways, they all generally go through a life cycle marked by several stages that have long been recognized (Blumer, 1969).Blumer, H. (1969). Collective behavior. In A. M. Lee (Ed. ), Principles of sociology (pp. 165–221). New York, NY: Barnes and Noble. Stage 1 is emergence. This stage is obviously when social movements begin for one or more of the reasons indicated in the previous section. Stage 2 is coalescence. At this stage a movement and its leaders must decide how they will recruit new members and they must determine the strategies they will use to achieve their goals. They also may use the news media to win favorable publicity and to convince the public of the justness of their cause. Stage 3 is institutionalization or bureaucratization. As a movement grows, it often tends to become bureaucratized, as paid leaders and a paid staff replace the volunteers that began the movement. It also means that clear lines of authority develop, as they do in any bureaucracy. More attention is also devoted to fund-raising. As movement organizations bureaucratize, they may well reduce their effectiveness by turning from the disruptive activities that succeeded in the movement’s earlier stages to more conventional activity by working within the system instead of outside it (Piven & Cloward, 1979).Piven, F. F., & Cloward, R. A. (1979). Poor people’s movements: Why they succeed, how they fail. New York, NY: Vintage Books. At the same time, if movements do not bureaucratize to at least some degree, they may lose their focus and not have enough money to keep on going. Political repression sometimes leads a social movement to decline or end altogether. The mass slaughter by Chinese troops of students in Tiananmen Square in June 1989 ended a wave of student protests in that nation. Stage 4 is the decline of a social movement. Social movements eventually decline for one or more of many reasons. Sometimes they achieve their goals and naturally cease because there is no more reason to continue. More often, however, they decline because they fail. Both the lack of money and loss of enthusiasm among a movement’s members may lead to a movement’s decline, and so might factionalism, or strong divisions of opinion within a movement. The government may also “co-opt” a movement by granting it small, mostly symbolic concessions that reduce people’s discontent but leave the conditions that originally motivated their activism largely intact. As noted earlier, movements also may decline because of government repression. By definition, social movements often operate outside of the political system by engaging in protest. Their rallies, demonstrations, sit-ins, and silent vigils are often difficult to ignore. With the aid of news media coverage, these events often throw much attention on the problem or grievance at the center of the protest and bring pressure to bear on the government agencies, corporations, or other targets of the protest. As noted earlier, there are many examples of profound changes brought about by social movements throughout U.S. history (Amenta, Caren, Chiarello, & Sue, 2010; Meyer, 2007; Piven, 2006).Amenta, E., Caren, N., Chiarello, E., & Sue, Y. (2010). The political consequences of social movements. Annual Review of Sociology, 36, 287–307; Meyer, D. S. (2007). The politics of protest: Social movements in America. New York, NY: Oxford University Press; Piven, F. F. (2006). Challenging authority: How ordinary people change America. Lanham, MD: Rowman & Littlefield. The abolitionist movement called attention to the evils of slavery and increased public abhorrence for that “peculiar institution.” The woman suffrage movement after the Civil War eventually won women the right to vote with the ratification of the 19th Amendment in 1920. The labor movement of the late 19th and early 20th centuries established the minimum wage, the 40-hour workweek, and the right to strike. 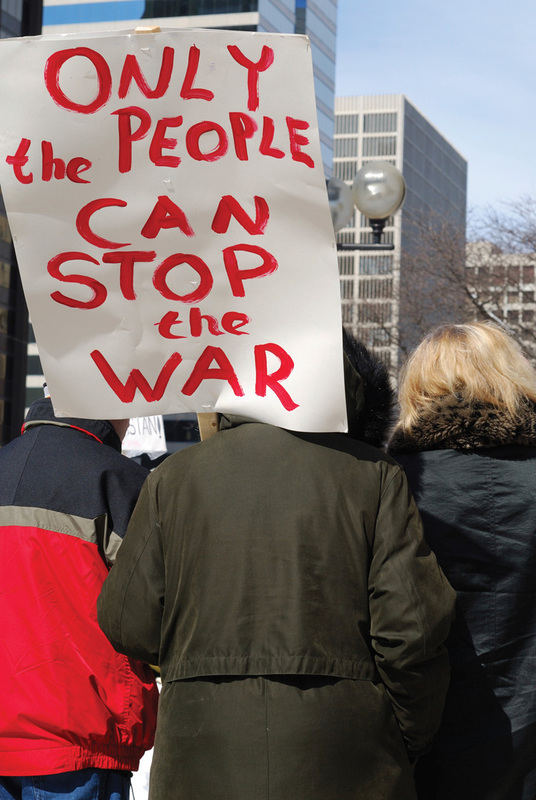 The civil rights movement of the 1950s and 1960s ended legal segregation in the South, while the Vietnam antiwar movement of the 1960s and 1970s helped increase public opposition to that war and bring it to a close. The contemporary women’s movement has won many rights in social institutions throughout American society, while the gay rights movement has done the same for gays and lesbians. Another contemporary movement is the environmental movement, which has helped win legislation and other policies that have reduced air, water, and ground pollution. Although it seems obvious that social movements have made a considerable difference, social movement scholars until recently have paid much more attention to the origins of social movements than to their consequences (Giugni, 2008).Giugni, M. (2008). Political, biographical, and cultural consequences of social movements. Sociology Compass, 2, 1582–1600. Recent work has begun to fill in this gap and has focused on the consequences of social movements for the political system (political consequences), for various aspects of the society’s culture (cultural consequences), and for the lives of the people who take part in movements (biographical consequences). Regarding political consequences, scholars have considered such matters as whether movements are more successful when they use more protest or less protest, and when they focus on a single issue versus multiple issues. The use of a greater amount of protest seems to be more effective in this regard, as does a focus on a single issue. Research has also found that movements are more likely to succeed when the government against which they protest is weakened by economic or other problems. In another line of inquiry, movement scholars disagree over whether movements are more successful if their organizations are bureaucratic and centralized or if they remain decentralized and thus more likely to engage in protest (Piven & Cloward, 1979; Gamson, 1990).Piven, F. F., & Cloward, R. A. (1979). Poor people’s movements: Why they succeed, how they fail. New York, NY: Vintage Books; Gamson, W. A. (1990). The strategy of social protest (2nd ed.). Belmont, CA: Wadsworth. Regarding cultural consequences, movements often influence certain aspects of a society’s culture whether or not they intend to do so (Earl, 2004),Earl, J. (2004). The cultural consequences of social movements. In D. A. Snow, S. Soule, & H. Kriesi (Eds. ), The Blackwell companion to social movements (pp. 508–530). Malden, MA: Blackwell. and, as one scholar has said, “it is perhaps precisely in being able to alter their broader cultural environment that movements can have their deepest and lasting impact” (Giugni, 2008, p. 1591).Giugni, M. (2008). Political, biographical, and cultural consequences of social movements. Sociology Compass, 2, 1582–1600. Social movements can affect values and beliefs, and they can affect cultural practices such as music, literature, and even fashion. Movements may also have biographical consequences. Several studies find that people who take part in social movements during their formative years (teens and early 20s) are often transformed by their participation. Their political views change or are at least reinforced, and they are more likely to continue to be involved in political activity and to enter social change occupations. In this manner, writes one scholar, “people who have been involved in social movement activities, even at a lower level of commitment, carry the consequences of that involvement throughout their life” (Giugni, 2008, p. 1590).Giugni, M. (2008). Political, biographical, and cultural consequences of social movements. Sociology Compass, 2, 1582–1600. The major types of social movements are reform movements, revolutionary movements, reactionary movements, self-help movements, and religious movements. Both micro and macro factors influence the rise of social movements. A key micro factor is social attachment, as social movement participants tend to have friendships and organizational ties that “pull” them into movements and promote their continued participation in a movement. Macro factors include certain social, economic, and political conditions in the larger social environment that generate interest in joining a movement and/or weaken the government as it attempts to deal with a social movement. Four major stages in the life cycle of a social movement include emergence, coalescence, institutionalization or bureaucratization, and decline. Social movements may have political, cultural, and biographical consequences. Political consequences seem most likely to occur when a movement engages in disruptive protest rather than conventional politics and when it has a single-issue focus. Involvement in movements is thought to influence participants’ later beliefs and career choices. Have you ever taken part in a protest of some kind? If so, write a brief essay outlining what led you to take part in the protest and what effect, if any, it had on the target of the protest and on your own thinking. If you have not participated in a protest, write a brief essay discussing whether you can foresee yourself someday doing so. Choose any U.S. social movement of the past half-century and write a brief essay that summarizes the various kinds of impacts this movement may have had on American society and culture. The topics of population and urbanization raise many issues within the United States and also across the globe for which a sociological perspective is very relevant. We address of few of these issues here. Perhaps the most serious population issue is world hunger. Both across the globe and within the United States, children and adults go hungry every day, and millions starve in the poorest nations in Africa and Asia. As the “Sociology Making a Difference” box in Section 14.2 "Population" discussed, sociological research indicates that it is mistaken to blame world hunger on a scarcity of food. Instead, this body of research attributes world hunger to various inequalities in access to, and in the distribution of, what is actually a sufficient amount of food to feed the world’s people. To effectively reduce world hunger, inequalities across the globe and within the United States based on income, ethnicity, and gender must be addressed; some ways of doing so have been offered in previous chapters. Population growth in poor nations has slowed but remains a significant problem. Their poverty, low educational levels, and rural settings all contribute to high birth rates. More effective contraception is needed to reduce their population growth, and the United Nations and other international bodies must bolster their efforts, with the aid of increased funding from rich nations, to provide contraception to poor nations. But contraceptive efforts will not be sufficient by themselves. Rather, it is also necessary to raise these nations’ economic circumstances and educational levels, as birth rates are lower in nations that are wealthier and more educated. In particular, efforts that raise women’s educational levels are especially important if contraceptive use is to increase. In all of these respects, we once again see the importance of a sociological perspective centering on the significance of socioeconomic inequality. Many urban issues are not, strictly speaking, sociological ones. For example, traffic congestion is arguably more of an engineering issue than a sociological issue, even if traffic congestion has many social consequences. Other urban issues are issues discussed in previous chapters that disproportionately affect urban areas. 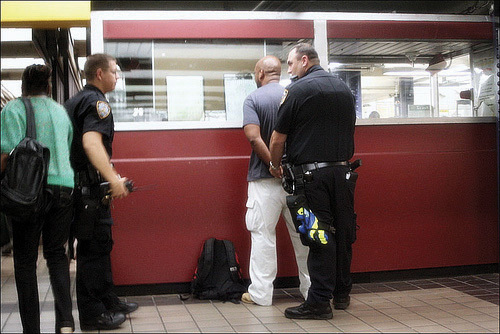 For example, crime is more common in urban areas than elsewhere, and racial and ethnic inequality is much more of an issue in urban areas than rural areas because of the concentration of people of color in our cities. Previous chapters have discussed such issues in some detail, and the strategies suggested by a sociological perspective for addressing these issues need not be repeated here. Still other urban issues exist that this chapter was the first to present. Two of these involve crowding and housing. Cities are obviously crowded, and some parts of cities are especially crowded. Housing is expensive, and many urban residents live in dilapidated, substandard housing. Here again a sociological perspective offers some insight, as it reminds us that these problems are intimately related to inequalities of social class, race and ethnicity, and gender. Although it is critical to provide adequate, affordable housing to city residents, it is also important to remember that these various social inequalities affect who is in most need of such housing. Ultimately, strategies aimed at providing affordable housing will not succeed unless they recognize the importance of these social inequalities and unless other efforts reduce or eliminate these inequalities.